Jeffrey P. Bomze, M.D., F.A.A.P. 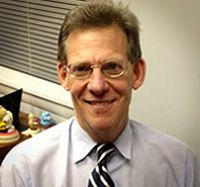 Board-certified practicing pediatrician in the Philadelphia suburbs with 31 years of experience and subspecialty training and expertise in several areas: child abuse (physical, sexual), child neglect, product liability, personal injury, pediatric infectious diseases, adolescent medicine, sports medicine, ADHD and developmental/learning disabilities. I treat infants and children of all ages with a wide variety of medical and developmental/neurologic problems. I have worked on cases involving children of all ages and with many different problems. I am also on the Pediatric Medical Review Board of a malpractice carrier and do case reviews and risk management work. Lastly, I perform IMEs and have had experience in the pharmaceutical industry. Dr. Jeffrey P. Bomze offers expert witness services in medical malpractice and personal injury cases, defense and plaintiff, family law child custody cases, pediatric expert witness, general pediatrics, pediatric infectious diseases, adolescent medicine, pediatric sports injuries, sports medicine, ADHD, developmental delays, CP, birth injuries, pediatric gastroenterology, pediatric ENT, pediatric cardiology, pediatric neurology, newborns, pediatric pulmonary diseases, pediatric orthopedics, birth defects, pediatric genetic disorders, pediatric kidney disease, drug liability, pediatric expert for mediation/arbitration, pediatric chronic diseases, pediatric mental health disorders, case reviews, expert reports. Dr. Jeffrey P. Bomze provides unbiased and impartial expert testimony and litigation support services for both plaintiff and defense attorneys. Pediatric Pulmonary Disease; Pediatric Kidney Disease; Abusive Head Trauma; Nonaccidental Head Trauma; Attention Deficit Hyperactivity Disorder (ADHD). I am a Board-Certified Pediatrician with multiple areas of subspecialty training and experience. I treat infants and children of all ages with a wide variety of medical and developmental problems. I also have several years of experience as a pediatric expert in medical malpractice cases and serve on the Pediatric Medical Review Board of a malpractice carrier. I have many years of experience reviewing cases, writing reports and preparing for trials. I work with both Plaintiff and Defense attorneys. In addition, I have risk management experience working with malpractice carriers. Private Practice in Pediatrics-Phila., PA.
Nonsurgical Sports Medicine Fellowship-Graduate Hospital Sports Medicine Center-Wayne, PA.